They cooked up a recipe for a fun and love-filled way to celebrate your babys special day. 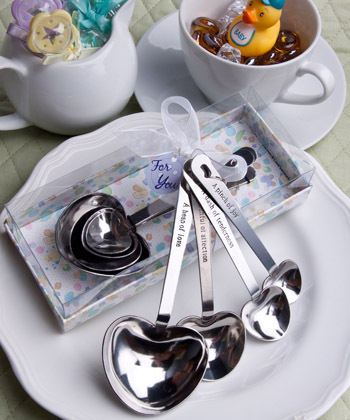 And, these Loving Notions Collection measuring spoon favors are one of the main ingredients! they are as cute as can be and they stylishly make note of the loving feelings that you and your guests have for the precious little one - AND they are sure to be a useful new addition to everyone's hearts and kitchens!